The bare tree branches above Noha Elsayed make the sky look like shattered glass, and a quiet but strong stream of water flows behind her. Inspired, Noha Elsayed decides to share a thought with her friends online. She opens the Facebook app on her phone. The cursor blinks as “What’s on your mind?” stares back at her. Elsayed’s thumbs flutter across the keyboard. Thirty seconds later, her post is sent. “And if all the trees on earth were pens, and all the oceans were ink, the words of God would not be exhausted,” it reads. This line is a verse from the Quran. In today’s world, it is not uncommon for individuals to use social media to express their religious identity. The Pew Research Center conducted a survey in 2014 asking 3,217 adults if they had engaged in different kinds of religious activity during the previous week. The study found that 20 percent of Americans share their religious faith on social networking sites such as Facebook and Twitter. The study also found that 46 percent of Americans had seen someone else in the past week share something about their religious faith online. Little research, however, has been done to figure out why Americans self-disclose their religious views on social media, meaning filling out the “religious views” section on Facebook, posting quotes from scriptures, retweeting a scholar or sharing an inspirational video. To get a better understanding of reasons people self-disclose religious views on social media, various Muslims were given the opportunity to express their views on the subject. Jwayyed Jwayyed, 22-year-old law student, chooses to share his religious views online as a way of making social media valuable for himself and others. 20-year-old Saeed Khoncarly, an advanced molecular biology student at Cleveland State University, regularly shares his religious views on social media as well. Americans who attend religious services often are more likely to engage in electronic forms of religious activity than those who attend services less often, according to the Pew Research study. The study also says that people aged 18 to 29 are about twice as likely as Americans who are 50 and older to see people sharing religious views online. 51-year-old Laila Eddeb, a teacher from Cleveland, avoids religious posts on social media. Although Eddeb is a spiritual person who attends religious gatherings often, she prefers to draw a line between social media and her religious views. In contrast, Sanaa Ziadeh, 50, says she interacts with religious posts as often as she can. We know that social media is changing the way we communicate, but there is little evidence to prove that it changes people’s religiosity. In a 2011 scholarly article titled “Religion and Social Media: Got Web?” author Pauline Cheong explains that her research on religion and new media have revealed ways in which blogging and microblogging –for example, tweeting–can function as religious practices. Cheong says that for some, social media is a platform to teach and inform about their faith, and to engage people in meaningful dialogue. It’s also used, she said, as a form of social and prayer support. There are plenty of social media accounts created for the purpose of informing, reminding and engaging with followers of various religions. 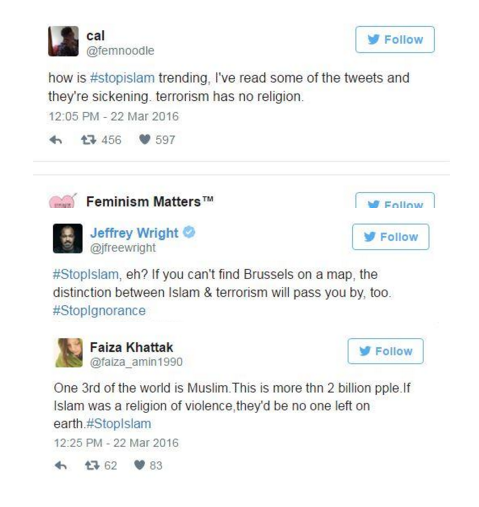 For example, @IslamicThinking has over one million followers on Twitter. The account tweets inspirational quotes, friendly reminders such as “speak kindly of others,” verses from the Quran and short prayers. 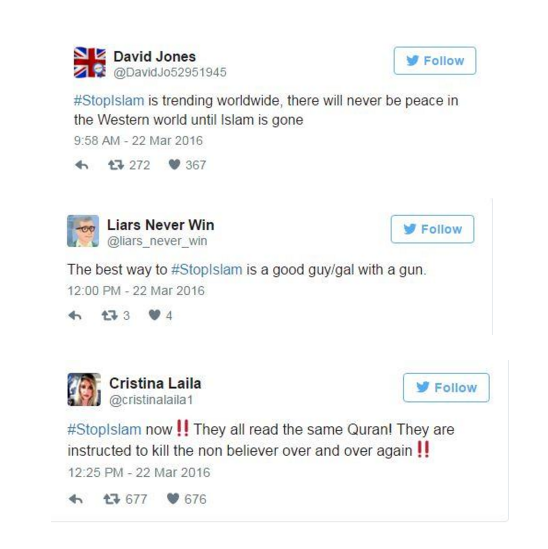 Sabrean Quraan, a 24-year-old speech pathology student at Cleveland State University, said that while these accounts are good reminders, social media doesn’t make her a more religious person. “I would feel the same with or without social media,” Quraan said. 21-year-old Summer Matar, a biochemistry student at The University of Akron, feels she may be a little less religious without social media. Cheong also says that even if social media can enrich and supplement an individual’s religious devotion, there are concerns that these online religious experiences are inclining people to withdraw from houses of worship. Raeed Tayeh, a Muslim-American activist, said that social media has changed how humans socialize in general, but believes we still need to socialize in person. For this reason, he said, those planning religious activities must be more creative to attract people to their events. “At the same time, for those who seem content to be intellectually lazy and surf until they find religious teachings that mesh with their pre-existing beliefs or desires, social media can provide a comfortable, albeit lonely perch, where they can nest their hearts and minds without feeling the need to personally interact with co-religionists,” Tayeh said. Quraan said that although social media is an outlet for religious expression, it shouldn’t take away from a person’s desire to partake in religious events, such as lectures, youth groups, Friday prayers and community gatherings. Matar agrees with this as well. As social media becomes more predominant with religious followers, Islamic scholars are learning the language of social media. Suhaib Webb, a popular Muslim scholar in America based in Washington, D.C., is among many imams using social media as an educational tool. He currently has over 88,000 followers on Twitter and over 215,000 on Facebook. Webb reaches out to people through various social media outlets. His most notable platform, however, is Snapchat. Webb uses 10-second videos to address a wide range of topics from drugs to marriage advice, dropping pop-culture references along the way. In an interview with Quartz, Webb says he uses Snapchat for two reasons: to reach a demographic of Muslims aged 13-23, and to learn the language of the youth. Tayeh recognizes there are positives that come with using social media to express religious views including giving people an outlet to express themselves and feel equal in a society where they are a minority, as well as encouraging others to be more comfortable with their religiosity. 21-year-old Mohammed Abuaun from Cleveland said his Muslim friends interact more with religious posts than other kinds of posts. Khoncarly says he also feels a sense of community on social media, especially when Muslims come together to promote peace and condemn violence. In February 2016, the Pew Research Center found that nearly 50 percent of Americans believe “at least some” Muslims in the U.S. are anti-American. Another question in the study asked if Muslims face a lot of discrimination in the U.S. today, in which 59 percent of Americans said they do. 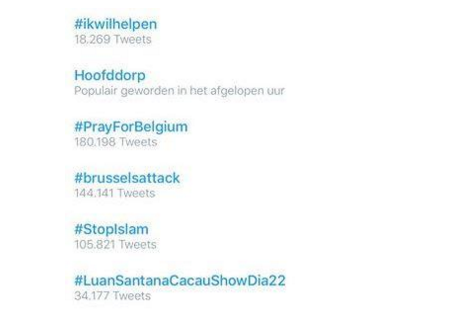 After the ISIS attacks in Belgium in March, the Twitter hashtag #StopIslam trended worldwide. It may have only trended, however, because so many people were criticizing it. In a time when Islamophobia is on the rise, many use social media to dispel stereotypes and misunderstandings about their religion. 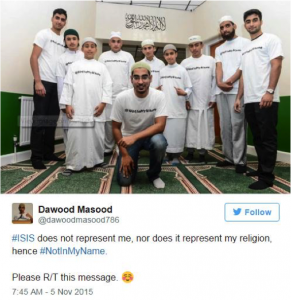 Another campaign, #NotInMyName, challenges the misconceptions of Islam with messages explaining that all Muslims cannot be blamed for the actions of a few. The Active Change Foundation started the campaign in 2014 to show solidarity against ISIS. The campaign soon trended worldwide and the hashtag has been used over 94,000 times. 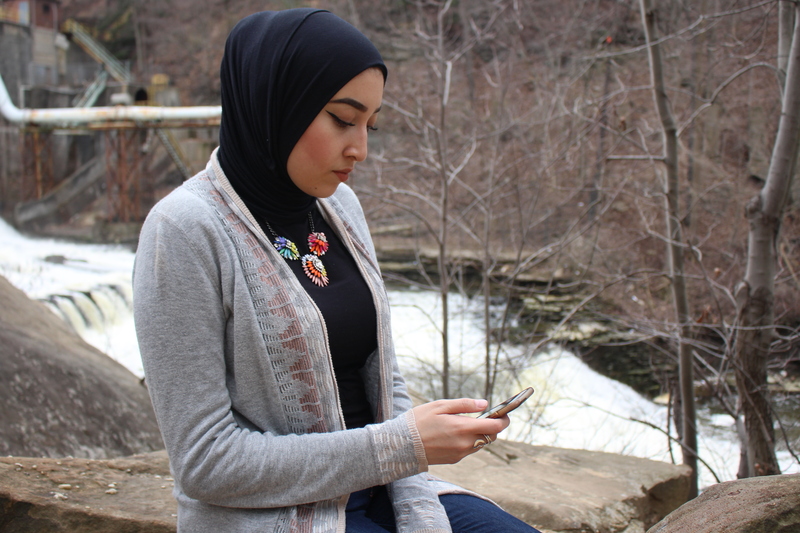 Tayeh believes social media can be a good tool to tackle Islamophobia, especially for people whose main source of information is the internet. 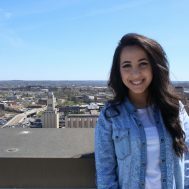 On September 10, 2015, just a day before the anniversary of 9/11, 22-year-old Fatima Shendy uploaded a video on Facebook titled, “The Twin Towers: A Muslim Perspective.” The video showed Shendy performing spoken word around a small group of people at Kent State University, where she attends college. Shendy’s poetry began with an anecdote about a time when her mother’s headscarf was ripped off her head, then continued to explain what it’s like growing up in the United States when terrorists have hijacked your religion. “Fingers pointed to my chest, tearing through tender cartilage,” the poem read. 22-year-old Fatima Shendy holds up her poem titled “Twin Towers,” which she performed around a small group of people. The video went viral overnight, and has since attracted 962,000 views. Shendy said she wasn’t planning to put her video on social media, and she was nervous to hear what people were going to say to her. Shendy works on writing her next spoken word, which she says will posted on social media to share her message to a large audience. Social media is a plug for reaching thousands in a unique way, Shendy said, and hopes to continue using it to share her message. Zaina Salem is an Ohio native who recently graduated from The University of Akron with a double major in Journalism and Public Relations.